David lives with his family in Watchet and has a long association with the town. Since early childhood the beaches at Watchet have held a lasting fascination for him. Having some of the finest geological strata in the South West we are fortunate to have a wealth of fossils and and rocks that pre-date the age of the dinosaurs. It is from these materials that David draws his inspiration. David is that rare talent who creates work of a high degree of sophistication yet has received no formal art training and is unaware of any artistic influence. 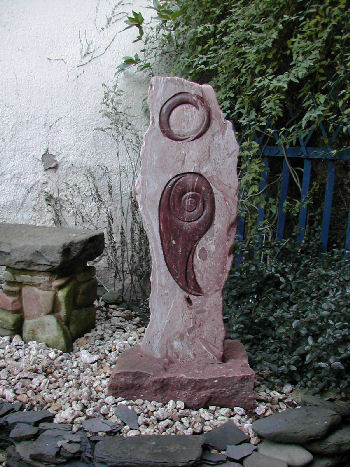 David’s method of working is straightforward, choosing with care the correct stone, he adds his own personal interpretation at the same time ensuring that the original material retains its own personality. David has completed both public and private commissions.